There are curtains hanging in nearly every UK home and we bet that your house does not make an exception. Curtains offer you some extra privacy, comfort and cosiness but they often remain unnoticed during the cleaning process. With us, from Cleaning Uxbridge, however, you can refresh the appearance of your good old curtains and make your home a much more health-friendly place. We offer guaranteed curtain cleaning in Uxbridge and we use professional curtain cleaning equipment. Our trained cleaning technicians can complete any curtain cleaning task in a speedy and thorough manner. Take advantage of our efficient curtain cleaning service in Uxbridge and we will give you a 100% satisfaction guarantee. That is because we are more than confident that you will be happy with the final result. Our qualified cleaners will discuss your needs, budget and requirements in advance. Also, we have the readiness to come and do an on-site viewing to better determine the material, length condition and type of your curtains. During the cleaning process itself, our vetted and attentive staff will use modern machines and non-toxic cleaning products which will further guarantee that you will get your money’s worth. There are two main types of curtain cleaning methods on which we rely. The first one is called steam or wet cleaning and it will effectively remove all dirt, dust and stains from your curtains. To carry it out, we use specialised steam cleaners. The second curtain cleaning technique on which we rely is known as dry cleaning. It also offers perfect results but it is more suitable for curtains made of delicate fabrics which can easily be damaged or shrunk if they are steam cleaned. The advantage of both of these methods is that they each can be executed on-site. In other words, our fast curtain cleaning in Uxbridge will provide you with a hassle-free solution to maintain your drapes and curtains as you will not even need to unhang them when our cleaning experts work on them. Top-quality often costs a fortune but we can provide you with competitively priced curtain cleaning in Uxbridge. The cost of this service of ours, of course, depends on the length of the curtains. For instance, we charge only £17 for the cleaning of a half-length pair of curtains. The price for a full-length pair of curtains is just £23. 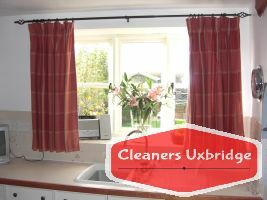 You will struggle to find a more budget-friendly cleaning of curtains in Uxbridge since we are one of the few professional cleaning firms in London that offers its customers a pack of remarkable benefits which features great value rates, transparent pricing policy, price matching and even personalised quotations. Our prices may be scandalously cheap but that does not mean that we have not prepared any special offers for you. 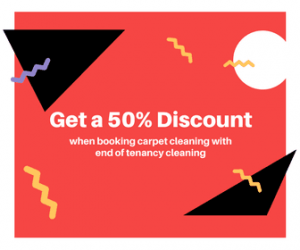 One of our hottest deals that we, from Cleaning Uxbridge, have at the moment will let you reduce your cleaning upholstery cleaning costs if you book us for upholstery cleaning in combination with another steam cleaning service, such as our flexible curtain cleaning in Uxbridge, that has a value of more than £100. Aside from being very affordable and comprehensive, our organised curtain cleaning in Uxbridge is also quite health-friendly. We do not use cleaning supplies that contain aggressive chemicals. As a result, your pets, children and you will not be exposed to dangerous products or fumes. That is great news for customers who have allergies or who are sensitive to strong smells and toxic cleaning supplies.